Geekery | 365 days of letters, notes, and written words. I love Batman and I dabble in comic books. I have friends who are so immersed in the Star Trek culture that they can quote things verbatim. I’ve stood in line all night for the next Harry Potter book with a crowd humming with excitement and wonder. 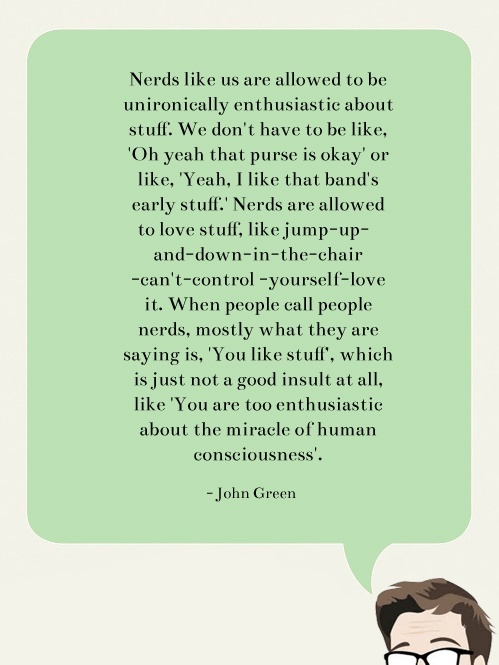 John Green and Simon Pegg say it best for me about the magic of geek/nerd-dom. 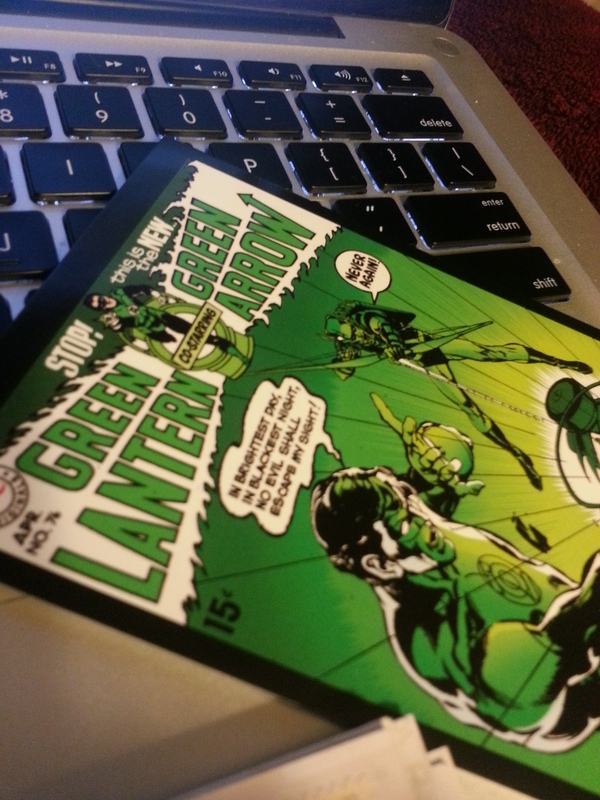 Another Green Lantern card to Ryan, to support his miracle of human consciousness.